Millions of dollars in economic development are here and continue to come to the Homewood community! New housing, neighborhood beautification, job creation. Are we ready for the multitude of opportunities that will be available in our community? Sign up for assisting with the Comprehensive Community Plan and Committees of HCDC. 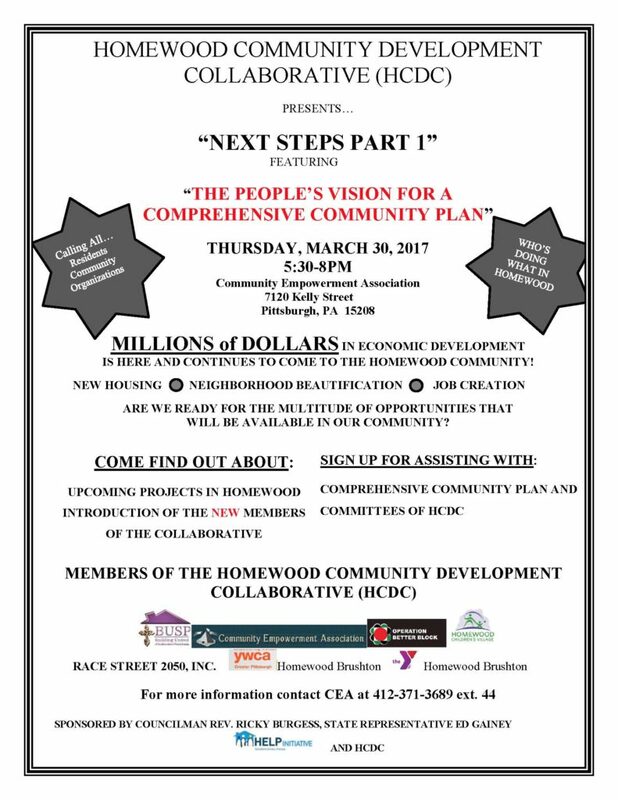 For more information contact CEA at 412-371-3689 ext. 44.